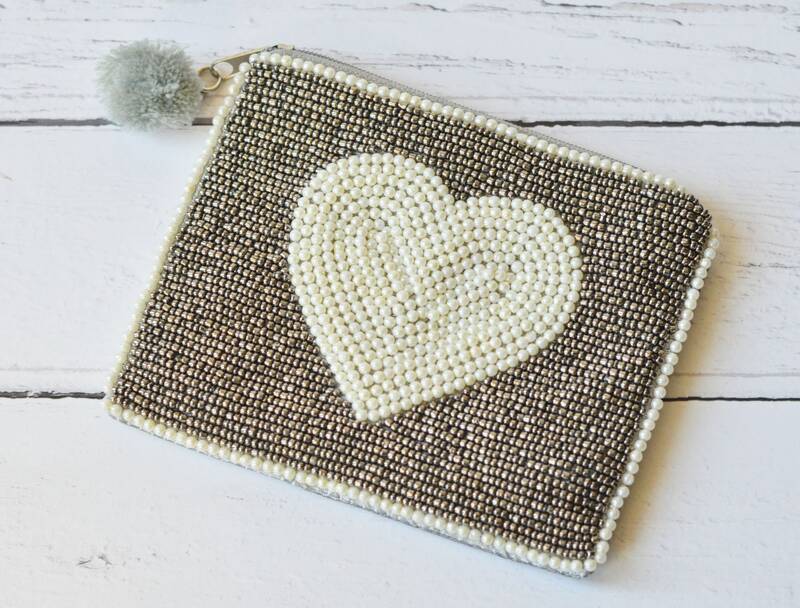 This sweet beaded purse mixes metallic and ivory beads to create a beautiful heart design. 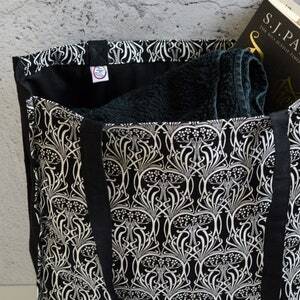 A metallic grey polyester purse with a satin sheen is fastened with a matching grey zip. 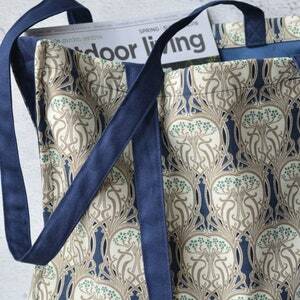 The front of the purse features a heart design made from little ivory pearl-style beads. The background is filled in with metallic beads and a row of ivory pearl beads runs along each edge. 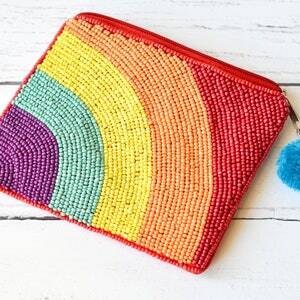 The purse is beaded on the front and has satin fabric on the reverse. 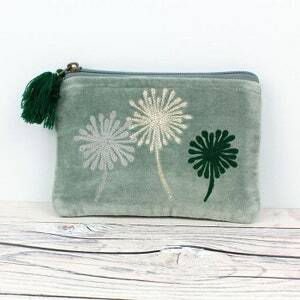 This beaded heart purse is lined with grey polyester and finished with a grey pom-pom zip. S H I P P I N G . . .
We aim to dispatch orders within 1-2 days. We ship via Royal Mail standard 1st Class (not tracked), with delivery time being approximately: 1-2 working days for the UK; 5-10 working days for Europe; and 7-14 working days for international deliveries. While every care has been taken to ensure the accuracy of the colours depicted in the photos, please be aware that due to monitor resolution, lighting, and photo processing software it is almost impossible to represent colour with 100% accuracy. Thanks for your understanding. Thanks for taking the time to look at my products. Please do not hesitate to contact me if you have any queries or questions. I may store and process your information through third-party hosting services in the US and other jurisdictions. As a result, I may transfer your personal information to a jurisdiction with different data protection and government surveillance laws than your jurisdiction. If I am deemed to transfer information about you outside of the EU, I will use a service like the Privacy Shield as the legal basis for the transfer, to ensure the protection of your data. For purposes of EU data protection law, I, Jan Hyde, owner of AntoniaYorkDesigns, am the data controller of your personal information. If you have any questions or concerns, you may contact me at jan@antoniayork.com.